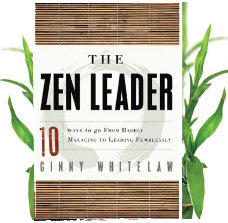 Ginny Whitelaw talks to Ken Wilber about her new book, The Zen Leader, offering an exceptionally simple guide to help maximize your health, happiness, and productivity. The benefits of integral leadership extend far beyond your professional life, and have as much impact in your living room (and even your bedroom) as they do in the boardroom. Whether you are a business leader, a CEO, or a stay-at-home mom, you will find this discussion to be exceptionally insightful, practical, and immediately relevant to your own life and work in the world. The Zen Leader doesn’t just present useful concepts to help you think about leadership in a new way, but offers practical ways to continuously check in with your own body — right here and right now — to gauge whatever resistance and self-contraction you may be experiencing, and follows with simple practices to help you sustain a more open and creative state of mind. Listen as Ginny offers some startlingly simple ways to help loosen the knot of self-contraction—easy techniques that you can use in these stressful periods to help you to relax into this present moment, to enter and engage fully with the moment, and to then use your unique perspective to add value to the moment. These techniques will help to remind you of your highest self, thereby increasing your overall joy, presence, and effectiveness at work and at home, while dramaticly decreasing the stress, anxiety, and resistance you feel in your life. From Tension to Extension: In The Zen Leader, Ginny guides the reader through two very different physical postures to help illustrate the difference between the sort of contracted tension we tend to feel when intensely focused, versus the more flowing, more connected feeling when we are able to step beyond ourselves and relax into the moment. But when demonstrating these two different postures to many leaders, while few can deny that the relaxed posture feels better, most report that it also instinctively feels less focused and less productive. Why is this? Even though we can feel in our immediate experience that the relaxed state brings more creativity and connection, why do we so often continue to use tension as both fuel and barometer for our productivity? Listen as Ginny teaches you how to truly “let go”—and more importantly, how to trust that “letting go” as a way to bring more care, more consciousness, and more ingenuity to your work. The Three Laws of Energy Management: It’s common sense, really: if you want to do something, you need the energy to do it. Which means that if we want to become better, stronger, wiser leaders, we need a constant supply of rocket fuel to get there. Think about it: if your cell phone battery dies, what do you do? You plug it in and let it recharge, obviously. But when it comes to managing our own energy levels, why is this not quite so obvious? Why can it be so hard for us to acknowledge our own energetic needs, and give our batteries enough time to recharge? Listen as Ginny and Ken discuss three easy techniques to help you manage your own energy levels, helping you to increase your energetic strength and durability while greatly reducing the risk of exhaustion and burnout. 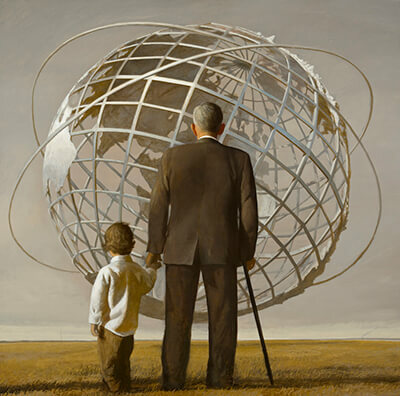 Leaders today face impossibly big jobs, asked to do more with less, expand globally, innovate quickly, inspire broadly and – oh yes – balance work and family. How does one manage all this pressure? That’s not what this book is about. It’s not about working a little harder, faster or pretending to be peaceful and ignoring the pressure. Quite the opposite, it’s about USING the pressure to propel flips in consciousness that create transformational leaders: leaders who create the future with joy and enthusiasm, rather than drive themselves and their people to exhaustion. Chapter by chapter, you’ll learn how to make the flips that reframe your life, your leadership, and your world. Discover how you can get out of your own way and realize The Zen Leader in you.